adinamc@gmail.com Adina Maria Moise is a psychologist, personal development counsellor and accredited trainer of trainers and is certified in project management and social entrepreneurship. She coordinates the project funding and fundraising department of Romania in Transition NGO. She studied change and resistance to change from individual and social perspectives, and is continuing this research, promoting the responsibility of co creating the change the want to see in the world from a soul-soil-society approach. Adina is initiator and coordinator of the Free Seeds Movement in Romania (Seminte Libere), a Transition initiative with over 10.000 members. She has also started The Network project (“REteaua”), an online platform meant to directly re-connect the local communities and enhance the sustainability and the local resilience. Adina is passionate about permaculture as a revolution disguised in gardening. She loves to pass on her passion and inspire people to take the “courage to be yourself”. andrei@intranzitie.org Andrei Iuroaia is a facilitator and consultant specialising in the design, development and implementation of participatory organisational models. 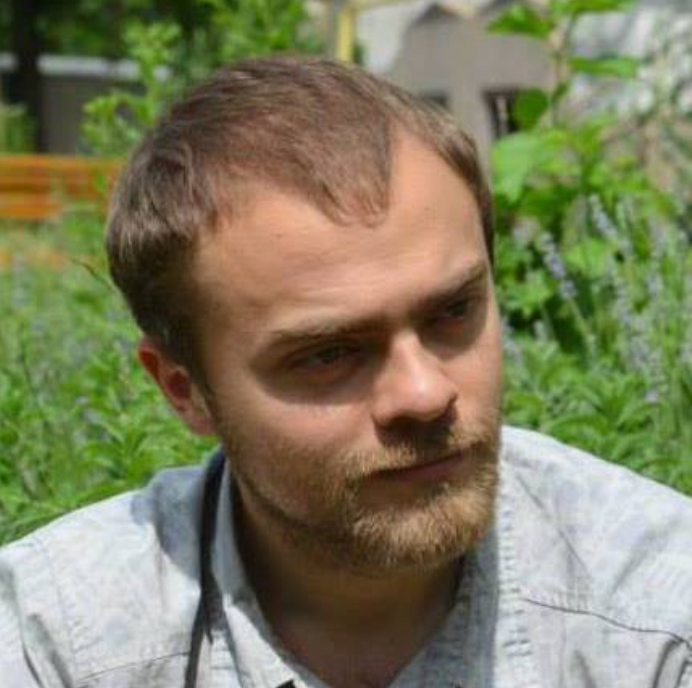 His BA in Management (Economic Science) and MA in Decision-Making and socio-political behavior in Political Science is complemented by practical experience from 3 years of travelling throughout Europe and learning the art and skill of community building, facilitation and participatory organizational systems. He initiated and co-founded Communities Convergence.org and managed the first two “Danube Bioregional Communities Convergence”. 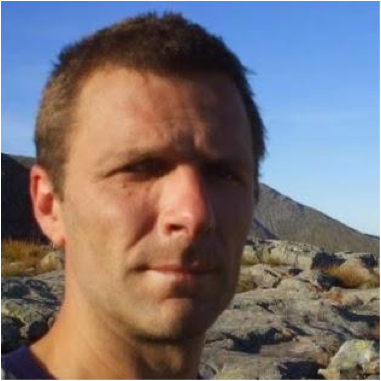 He is a co-founder of community-tours.org and is dedicated to network building and constructing trans-national and trans-sectorial collaboration frameworks. He is a Sociocracy 3.0 trainer and is working to develop the organisational capacity of ART and several partner organizations and train and coach staff. He holds seminars and workshops in Romania and other European countries. 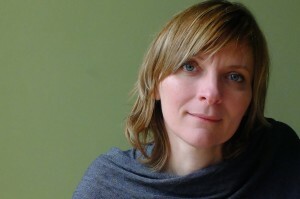 anna.kovasna@ecovillage.org Anna Kovasna is a researcher, trainer and community consultant passionate about the cocreation of just, collaborative and free societies where human potential is valued and the interconnectedness of life is recognised. 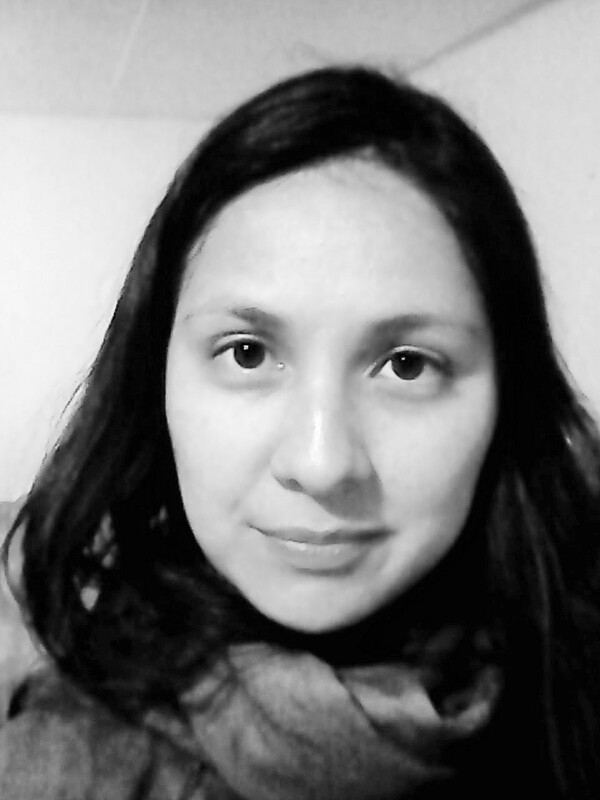 She is currently working on her doctoral dissertation in Anthropology, focusing on localisation and participatory community-building as tools for autonomy and social change. She is deeply connected with dance as a tool for discovery, connection and expression, and deeply in love with wild nature, hiking and wilderness expeditions. Having lived and worked internationally in several ecovillages, tribal communities and organisations, she brings practical experience of facilitation, education, research and community development in a variety of settings. Originally from Sweden, Anna currently lives in the Findhorn ecovillage in Scotland, grounding her systemic approach to inner and outer transformation in everyday community life while deepening her engagement with experiential education, community development and capacity building within the Global Ecovillage Network. claudian.dobos@gmail.com Claudian Dobos is a co-founder of the entrepreneurial community “João Sem Medo”, established as a cooperative under Portuguese Law. Since 2010 he has been supporting the emergence of the Romanian Transition Towns Movement. He is a co-founder of the NGO: “Romania In Tranzitie”. He is also a co-founder of the “Terra Livre” movement and of the community driven initiative “Aurora Community”, both established in Romania. 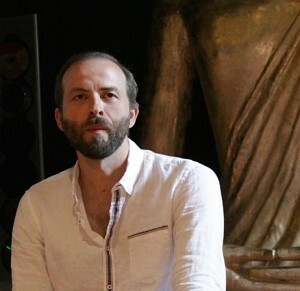 Claudian co-created the “Communities Convergence” movement and also co-managed of the 1st “Danube Communities Convergence” held in 2013 and 2014 in Romania. Claudian is a speaker and facilitator on sustainable development, transition towns and community building and also a Permaculture teacher and a facilitator for Deep Ecology – The Work that Reconnects. He is also a trainer and facilitator on communication strategies, communities of practice, community building and personal development. Claudian has experience in Communication and Image Management, start-up design and has grounded several business enterprises. conchi@altekio.es Conchi Piñeiro is a trainer, a researcher and a facilitator, with sustainability as the core goal and passion for different methods and approaches. She was an activist and part of different social movements for more than 15 years. She is founder and an employee of Altekio, a collective experience of entrepreneurship in solidarity economy, that helps her to catalyse entrepreneurship in different projects. She has been trained since 2001 in group facilitation in many different approaches and methods. She is currently studying Phase II of the Process Work Diploma. With this diverse experience, she has been part of a youth entrepreneurship and leadership training based on the Elos Philosophy or Oasis Methodology in communities in Mexico, Brazil and different places in Europe. Her experience of living and working in different countries, especially Mexico, connects her with her search for diversity. In the environmental field, she holds a PhD in Environmental Education at Universidad Autónoma de Madrid (2011), a University degree in Environmental Sciences (1997-2001), the Permaculture Certificate (2005) and the Ecovillage Design Education Training of Trainers Certificate (2011). eveline.durieux@aeidl.eu Eveline Durieux has been involved in environmental associations since the early 1990s and was a founding member and board member of the Responsible Consumers Network, a non-profit organisation promoting sustainable consumption in Belgium.She holds a Master in Environmental Management and a Teacher’s Degree and has worked for the Brussels-based European Association for Information on Local Development (AEIDL) since 1992. She was involved in rural development, within the European LEADER Observatory (1992-2001), contributing to the information system, liaising with environmental experts and networks, and contributing to the LEADER Pedagogical Guide. 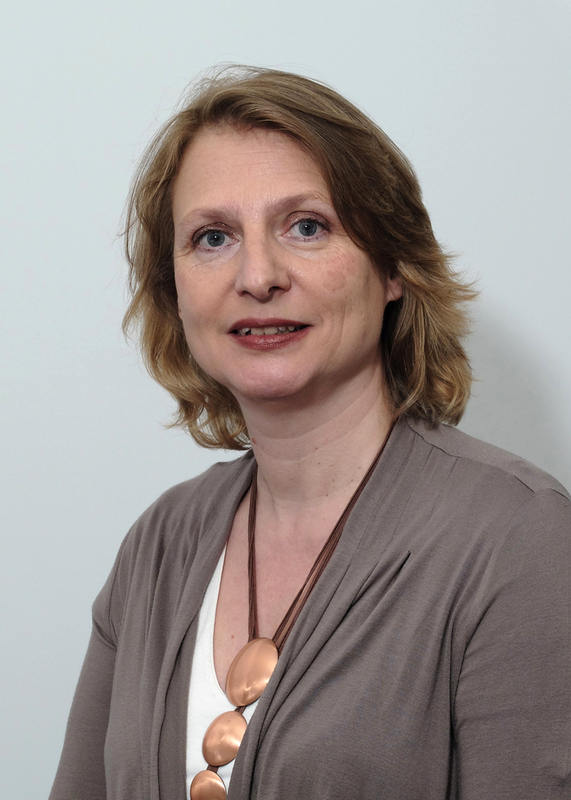 Since 2004, Eveline has been part of the European LIFE Communications Team, and since 2009 she has been in charge of disseminating LIFE project results, taking part in events all over Europe. As Knowledge Transfer Facilitator for AEIDL, she develops and delivers training on EU environment policy and sustainable development. Filipa Santos Filipa Santos is a designer and a social Permaculture trainer. 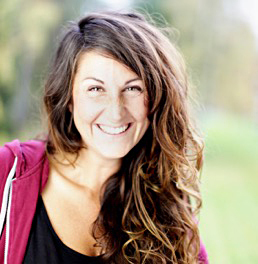 She co-created, developed and implemented a Permaculture land-based life system between 2008 and 2014, where she was living and developing her passion for people, supporting and guiding many on their life transition, from a conventional lifestyle to a more authentic, sustainable and conscious life journey. 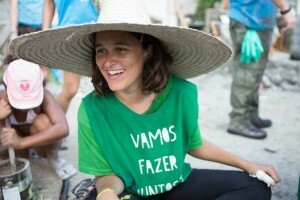 She was instrumental in the growth of the Permaculture movement in Portugal, and is closely connected to the Transition Town and Ecovillage networks. Filipa developed a method of designing one’s inner landscape, based on the Permaculture whole system approach, “from the Inside Out” facilitating personal mapping and vision building processes. She is currently coordinating Apprenticeships at Biovilla, a sustainable and socially responsible cooperative. She is a graduate in Product Design at Universidade de Lisboa, Faculdade de Belas-Artes (2007), two Permaculture Design Certificates (2009/13), the Ecovillage Design Education Training (2013) and a Permaculture Teacher Training (2014). She is also trained in Transition Town, Inner Transition, People and Permaculture and several other social technologies. fmalves@fc.ul.pt Born in 1984 in Lisbon, Filipe graduated in Economics (2006), has a Master in Economics and Public Policy (2015) and is currently engaged in the Sustainability Policies and Climate Change PhD programme at Lisbon University. He participated in the Erasmus programme in Slovenia (2004), held an internship at INETI (2006), participated in the European Voluntary Service in Serbia (2007) , was Junior Consultant in Social Responsability (2009-2010), Ambassador of Climate Change College (WWF and Unilever) and also lived and taught in Auroville (India). Since 2008 he has been a trainer in the Youth in Action Programme, President of the NGO Ecolution, cooperative-founder of Biovilla and Coopérnico, and an active member of several other NGO’s and social entrepreneurship networks such as ESLIDER and EUCLID. 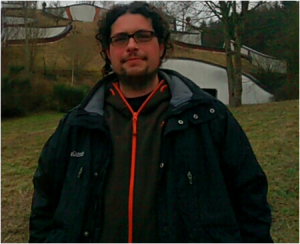 Since 2012 he has been a researcher at CCIAM / CE3C in the action-research FP7 project BASE. Currently Filipe is also involved in two other European wide projects – Equibridges and SIRCle: Social Innovation for Resilient Communities. gppenha-lopes@fc.ul.pt Gil Penha-Lopes is an invited Professor at the Faculty of Sciences, University of Lisbon (Portugal) and Senior Research Fellow on Sustainability and Climate Change Adaptation related topics. He lectures on the Climate Change and Sustainable Developmental Policies Doctoral Program and has recently founded a European platform of Community-led initiatives towards a Sustainable Europe (ECOLISE: www.ecolise.eu). He is also a Transition Trainer and an Integral Coach. He is currently participating in a European project to better understand local adaptation (BASE: www.base-adaptation.eu) and coordinates two Portuguese projects, one that aims at elaborating Municipal Climate Change Adaptation Strategies (ClimAdaPT.Local: www.climadapt-local.pt), and another one (CATALISE) on mapping and understanding local integral innovation (social, ecological and economic). Within the SIRCLe project Gil intends to continue grounding resilience in his family and workplace as well as to learn from and support participants of the two pilot trainings as well as the project’s strategic partnership. iain@whirligro.co.uk Iain Findlay has been involved in social change and entrepreneurship since the early 1990s. His interest in sustainable development has focussed on urban and organic agriculture, permaculture, food resilience, community development and education. He has a long history of political and environmental activism as a means to encourage debate and positive social change and has involved himself with Greenpeace, Occupy and The Transition Towns Movement. He promotes the work of The Natural Step Framework for Strategic Sustainable Development for communities and organisations that wish to understand and contribute to a sustainable future. He has experience of quality and environmental management systems (ISO 9001/14001) and how they can contribute to effective and sustainable business management. He holds degrees in Business as well as a Masters in Environmental Studies and continues to develop an understanding of systems thinking, circular economics, biomimicry and the Blue Economy. He currently lives near the Findhorn Community in his native Scotland. He also climbs mountains and plays bagpipes and aims to get better at it all. Jorge Navacerrada jorge@altekio.es Jorge Navacerrada has a University degree in Environmental Sciences (Universidad Autónoma de Madrid. 2001). In 2000 he started his work with people and groups on topics such as environmental education and education for development, in particular on responsible consumption, sustainable livelihoods and greening events and entities. He is co-author of “ConSuma Responsabilidad: Guide for responsible consumption in Madrid”. 2006. (www.consumaresponsabilidad.org). He has been trained continuously since 2004 in facilitating group processes and training of trainers. He is founder and administrator of Altekio worker cooperative (www.altekio.es) and develops trainings, consultancy and coordination of projects since 2008. From 2008 he has participated in specific training in the area of entrepreneurship with young people in emprender.coop, a team work that belongs to Tangente cooperative group (www.tangente.coop, www.emprender.coop). From 2010 he has lived in a rural area, growing organic vegetables and has been involved in strawbale building projects. joschi.sedlak@plenum.at Joschi Sedlak is trainer, facilitator, moderator and coach interested in the combination of person, project and politics. In his work he bridges personal transformation with political change, postmodern worldview with transrational wisdom and project work with a deep sense of beauty – in order to support individuals and groups to live their full potential and purpose for a resilient and peaceful future. He has studied international development in Vienna and holds a master in transrational peace studies. Besides that he is a trained vision quest guide, loves Art of Hosting, theme centred interaction, Council and worldwork – and of course a good cup of Viennese coffee. kosha.joubert@gen-europeu.org Kosha Joubert (MSc Organisational Development) is an international facilitator, trainer, manager and consultant. She has worked extensively in the fields of curriculum development, international collaboration and sustainable development. Kosha grew up in South Africa, worked for the anti-apartheid movement and has subsequently researched the power of community and intercultural communication for the past 25 years. Currently, she lives with her family in Findhorn, Scotland, and serves as President of the Global Ecovillage Network (GEN-International). Kosha is a co-founder of Gaia Education, which develops trainings at the cutting-edge of sustainability, and co-author of the internationally applied curriculum of the Ecovillage Design Education. She is is co-editor of ‘Beyond You and Me – Wisdom and Inspiration for Building Community’ and author of ‘Die Kraft der Kollektiven Weisheit, Kamphausen Verlag, 2010’ (German) – on the power of collective wisdom. She is fascinated by the potential which unfolds when we transform our teams and organisations into self-organised systems of innovation, emergence and synergy. lritter@windharvest.eu Luea Ritter has a background as an art curator and has co-founded and led several international transdisciplinary organisations and projects and is a trained craniosacral therapist.She works in diverse sectors (Sustainable Energy, Arts, Education) as a facilitator and advisor in the fields of organisational, community & cultural development and geo-relations, with a focus on multi-stakeholder dialogue. In her work she uses a systemic approach that cultivates inner and outer resilience and regeneration. Luea integrates diverse methodologies from innovation & societal change work, artistic & indigenous practices. She focusses on co-creating spaces for encounters, and bridges for an interconnected way forward for our societal system and the challenges we are facing today. She is a staff-member of Wind Harvest International. 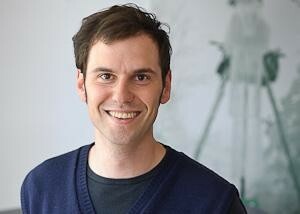 martin.kirchner@plenum.at Martin Kirchner developed and leads the „Pioneers of Change“ program. He was trainer and consultant for several NGOs focussing on education for sustainable development. 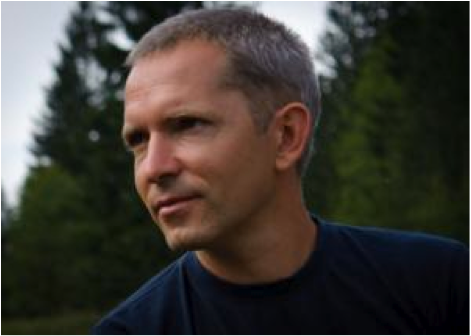 His work builds on his extensive experience in systemic coaching, nonviolent communication, social entrepreneurship, permaculture and project management. Martin was Initiator and Project Coordinator of a model settlement for a more sustainable lifestyle („Cohousing Pomali“), was council member of the Global Ecovillage Network and cofounder of the austrian communities network “Austrotopia”. pbr@aeidl.eu Patrizia Brandellero (MA European integration) is a life coach, consultant, facilitator and trainer. She has worked extensively in the fields of civil society development, social inclusion, anti-poverty policies and EU integration. She has developed and implemented advocacy strategies, as well as coordinating management of EU-wide NGO Programmes, providing capacity-development training and being an advisor to international donors. Recently, her path has evolved towards self-employment, providing consultancy to organisations and supporting individuals in their personal development, with a specific emphasis on consciousness, both as a coach and a trainer. Patrizia has lived in many countries across Europe and currently lives in Brussels with her family. She is fascinated by the capacity of people and organisations to move beyond their challenges, towards acknowledging and expressing their full potential. Nara Pais nara.pais@ecovillage.org Nara Pais worked with projects in the corporate world for more than 18 years, mostly as a business consultant and project manager. Her last position was as a senior project manager in a large multinational organisation in the IT industry. In the beginning of 2013, she decided to quit her job and fully dive into her journey of personal transformation, community building and service to the world. For the past 2 years she has been exploring ecovillages, sustainable projects and places in transition.. She is a Dragon Dreaming trainer and Design for Sustainability (EDE) alumni. She also integrates her studies in Biopsychology, Yoga and Ayurveda, bridging the self, social and organisational resilience. She has held presentations and workshops in Brazil and the UK, around the topics of personal development, new models for organisations, project development and community building. 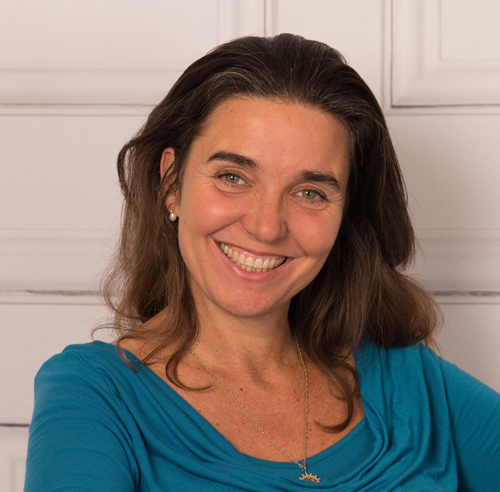 ria.baeck@vitis-tct.be Besides being a coach and mentor, who combines deep compassion, body-awareness and a lust for life, I facilitate and host transformation in individuals and groups. I am always interested in what I don’t know (yet) and have a rich background of different experiences and interests.My personal passion is in the field of conscious leadership and how this relates to team, groups and communities – in work and daily life. I worked originally in the area of personal development, coaching and the social profit sector, and currently in the field of participatory leadership for business and global systems. I am always fascinated by ‘What else is possible?’I’m born, raised and living in Belgium, already a grandmother of 6! I’m bringing the wisdom of the elder and the steward – what will become possible if we truly co-create? robin@findhornconsultancy.com Robin Alfred worked as a trainer, educator and social work manager for 15 years in London, prior to coming to the Findhorn Foundation Community, Scotland in 1995. He is Founding Director of the organisation’s Consultancy Service and also former Chair of Trustees. Robin has extensive experience of leading and developing groups and individuals in a variety of settings including prisons, social work, police forces, communities and other organisations. He is trained in a wide variety of approaches to personal and organisational development including: Appreciative Inquiry, the Frameworks for Change Coaching Process, Process Work, and Tools for Corporate Transformation. He is also an Associate and Lead Presenter for Olivier Mythodrama Associates for whom he delivers a wide range of leadership trainings, based on Shakespeare plays and stories. Robin has a BA degree in Politics, Philosophy and Economics and an M.Phil in Criminology. He has been a faculty member of the Findhorn Foundation’s Ecovillage Training for the past eight years, and has taught on Ecovillage Design Education courses In Europe, India and Africa. 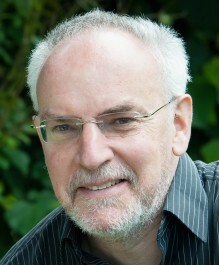 Robin co­facilitated the GEN Europe Conferences in 2012 and 2013 and is co-­editor of ‘Beyond You and Me – Wisdom and Inspiration for Building Community’ – the Social Key of the EDE.